Members of the City of Miami Financial Empowerment Center congratulate students at the Summer Youth Financial Empowerment & Employment Program closing ceremony. The City Manager visits the City of Miami CareerSource South Florida Center. Parents at a local center receive safety lessons from City of Miami Firefighters, through Families First Parenting Programs. Winners of the Get Healthy Now Kids Essay Contest are congratulated by the City Manager, Office of Grants Administration, Department of Parks and Recreation, and UnitedHealthcare Community Plan of Florida. 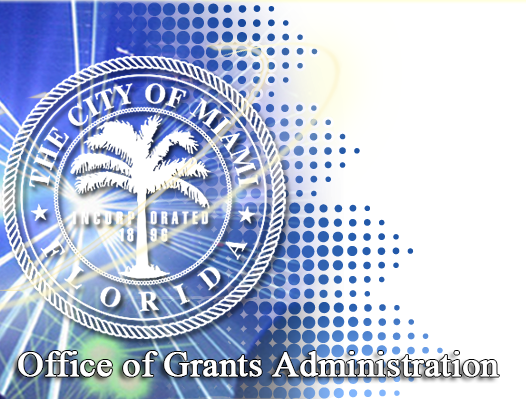 Grant Writing – Identify grant opportunities, distribute information and process grant applications; assists all City departments in the development, submission, and oversight of grants as per grantor guidelines; provide technical support and expertise in assessing program/funder requirements, regulatory compliance and grant management that may impact current and future funding. Education Initiatives – The City of Miami’s Education Initiatives division works closely with Miami Dade County Public Schools (MDCPS), The Children’s Trust (TCT), and other agencies identifying gaps of services/programs which will prepare children and youths for their future. Actively works with community based organizations, and private/public companies, and recruits or builds relationships for future and current programs. Workforce Initiatives/CareerSource South Florida at Lindsey Hopkins Center- CareerSource South Florida is a public-private partnership that establishes state and federally funded workforce development and training policies for Miami-Dade and Monroe counties. Additionally, CareerSource South Florida services and resources are available to everyone at no cost through a network of career centers located throughout the region. Office of Miami Sustainable Initiatives – Established in 2007, the City of Miami Office of Sustainable Initiatives (MSI) led the creation of MiPlan, the City’s Climate Action Plan which set targets for greenhouse gas reductions. Since then MSI has led efforts to implement the plan and become a model for environmental best practices. Continuing the financial education legacy under ACCESS Miami, a successful youth financial empowerment & employment program was made possible by multi-year funding through the Cities for Financial Empowerment Fund employed over 100 high school aged youth and exposed them to financial education, direct deposit and the power of savings.